Open : April - October ... Welcome to Kenshō, a new space in Ornos Bay that will open its doors in June 2016. It includes a variety of cultural elements blended with refined luxury in its spaces, revealing the true meaning of Cycladic hospitality and creating a combination consisting of smiles, history, location and tradition. 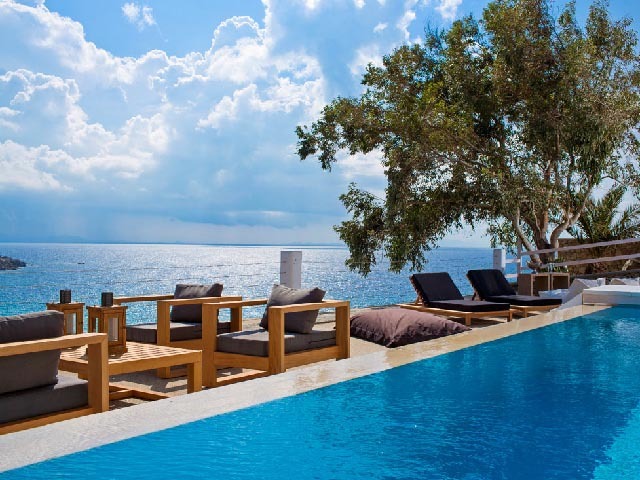 Open: May to Octomber...Kensho Private Villa is located in the Ornos area. 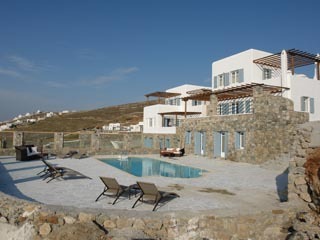 It features an overflow pool and a furnished terrace with panoramic sea views. Open: May - October... 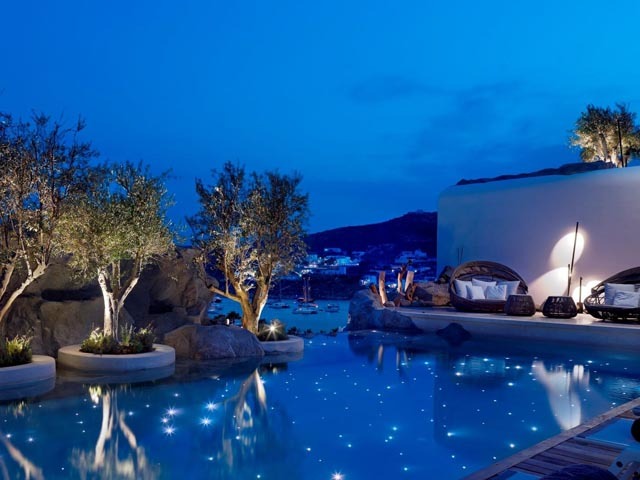 The unique identity of this 5 star Kivotos hotel in Mykonos -that was initially meant to be a family villa -created a distinctive legacy and became a holiday sanctuary for art connoisseurs and modern travel aficionados who desire the finest, most exclusive experiences imaginable. Open: April - October... 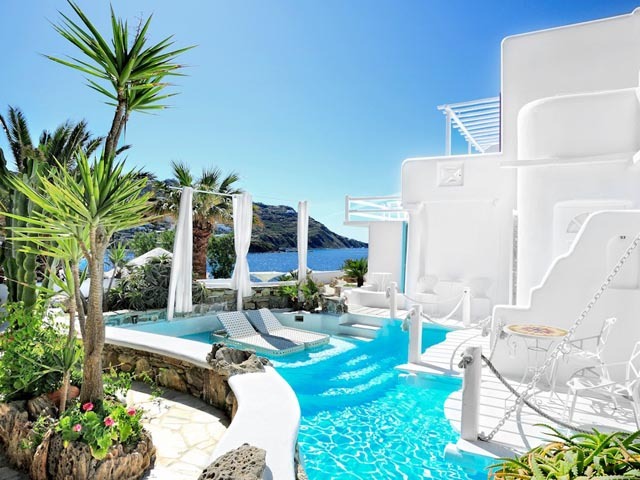 Located on the seafront of Mykonos town, the Kouros Hotel & Suites offers you sophisticated accommodation and a wonderfully relaxing location with spectacular views over the old and new harbours of Mykonos. Having recently upgraded our guestrooms, you will find them spacious and luxuriously appointed whilst retaining the ethnic Cycladic charm, with features such as beamed ceilings and exposed stone work in the Superior rooms and Suites. 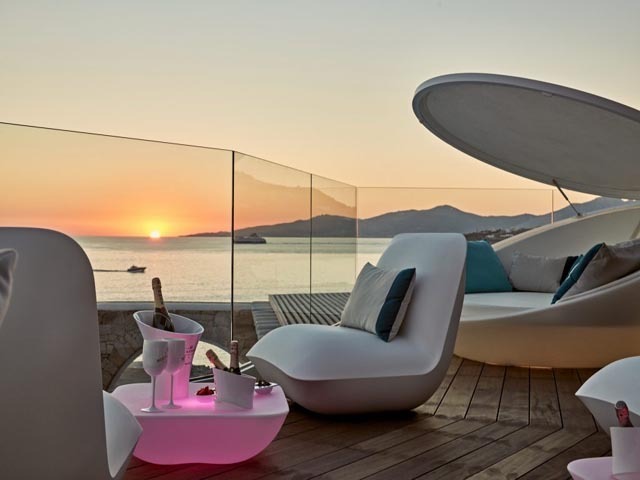 Open: April-OctoberOn the top of a rock, in the most beautiful corner of Mykonos, two unique water front villas were created with a lot of love and specially designed for persons and families who want to live the extra ordinary! Open: May to October... 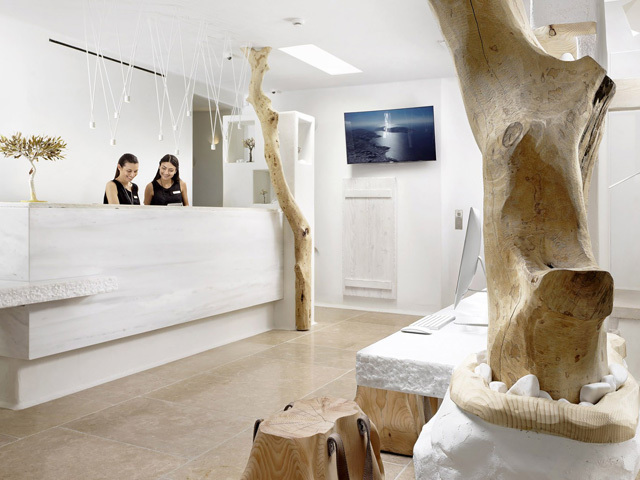 The Myconian Ambassador Hotel is a luxury hotel in Mykonos, capturing the essence of Myconian charm and the celebrated art de vivre of Relais & Châteaux.Mere steps from the fine sand of Platis Gialos, and built in sympathy with the slope, its architecture blends contemporary chic with tones and textures borrowed from the local vernacular.